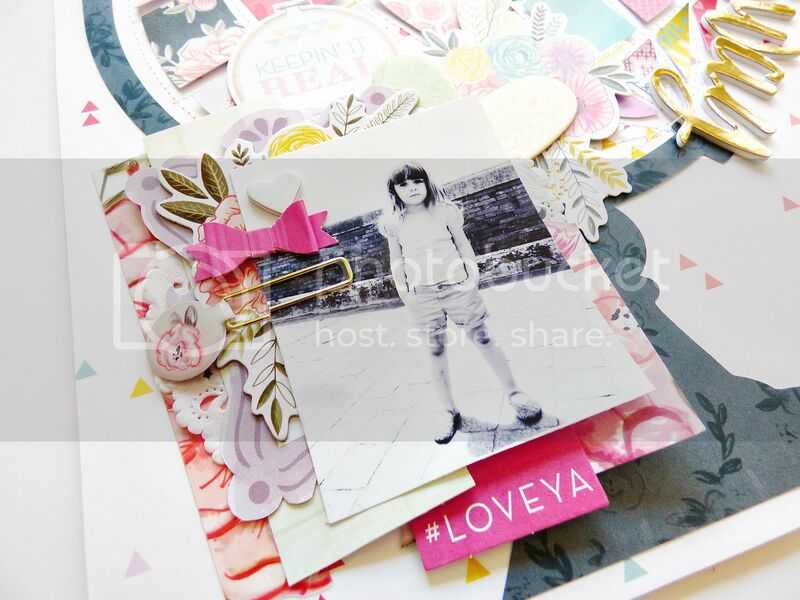 I'm back with my August layout for Kerri Bradford Studio! 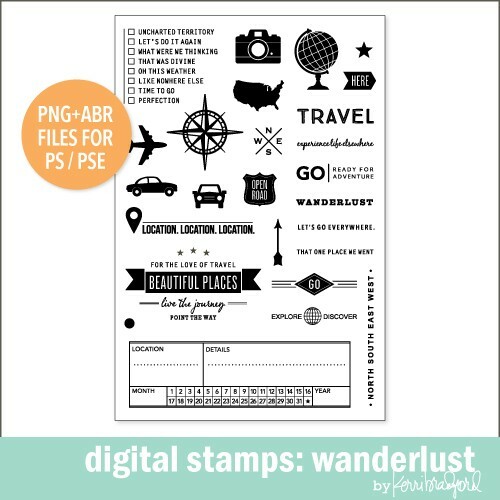 She has so many amazing digital stamps/cut files in her shop, it's a limitless array of possibilities! JOURNALING SAYS: Can you see the ice-cream stained shirt and dirt-skinned knees? So typical Jane. This was taken as we were walking around Pisa, Italy. I hope you remember these adventures! 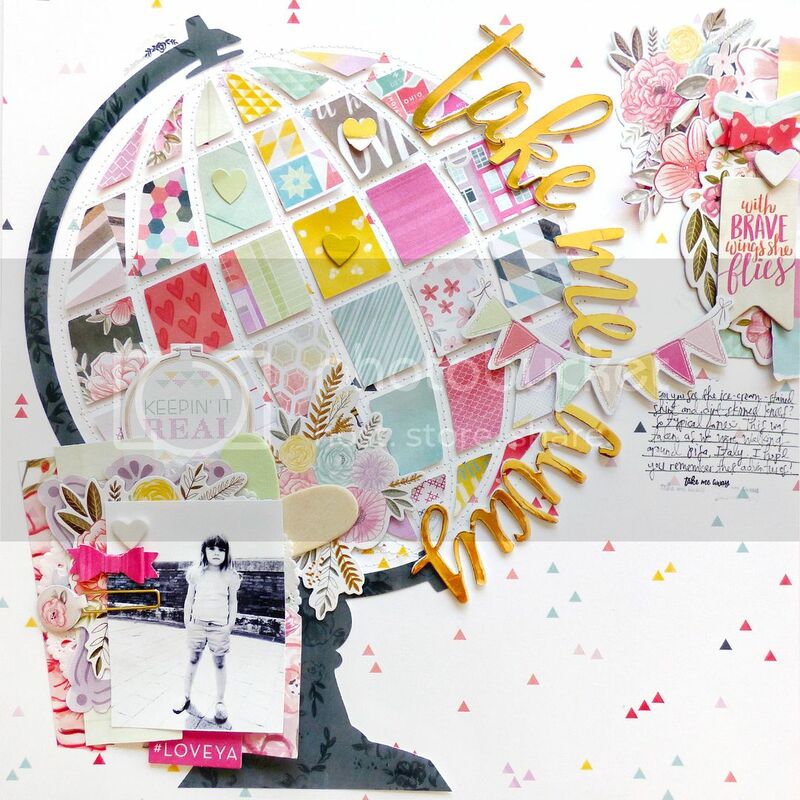 HOW TO: Die cut the globe from black floral paper and adhere the globe holder piece on the left side of the colorful mini triangles paper. 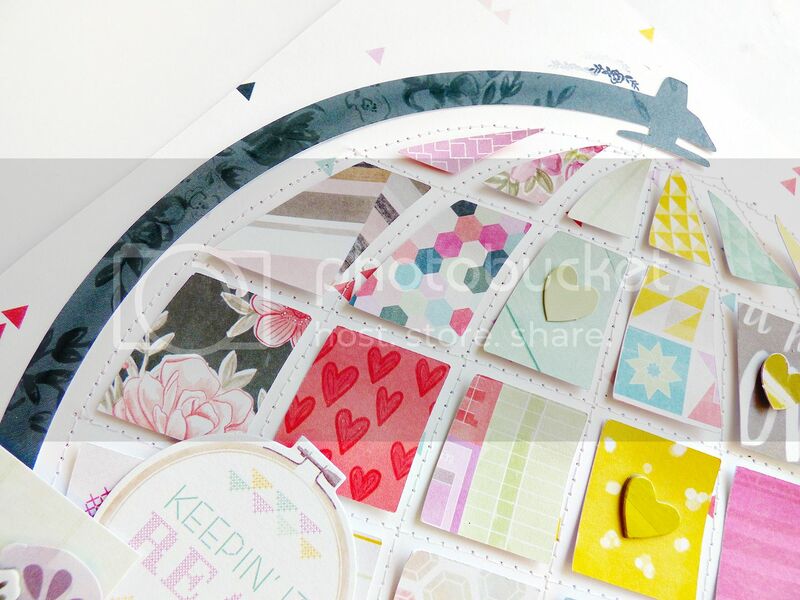 Die cut the squares from patterned papers and use the black floral globe as a template to adhere the pieces in place. Use a sewing machine to stitch around and through the globe. Curve the title around the globe and create two clusters - one on the top right and the other with a photo on the bottom left. 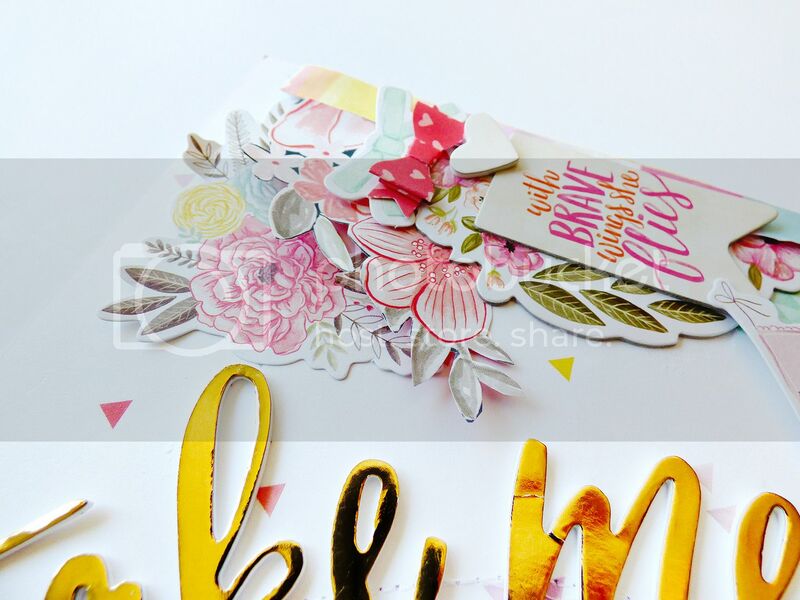 Journal and add stamping to finish. That's all for now! Be back soon! I have no words ... welllll that's a lie ... amazing, wonderful, and WOW(!) come to mind ... lol!! This is ... just wow!!!!!!!!!!!! Swoon! There are no words to describe how fabulous this is....picking my jaw up off my desk. This page is ABSOLUTELY AMAZING!!!! I've never seen anything like it. Totally original and that's a though one to do in the land of Pinterest. Great Job!